If I lived in Hiroshima I would love to send my kids to Tsukushi Nursery School, an adorable little daycare center shaped like a peanut. 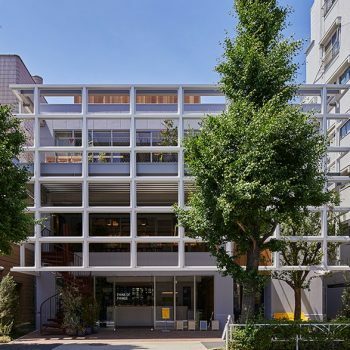 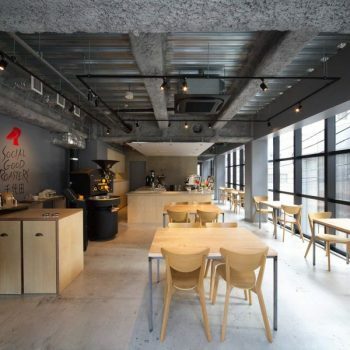 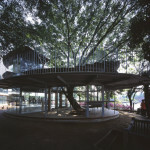 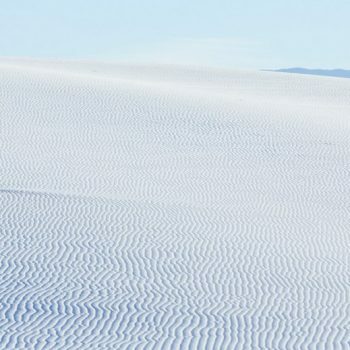 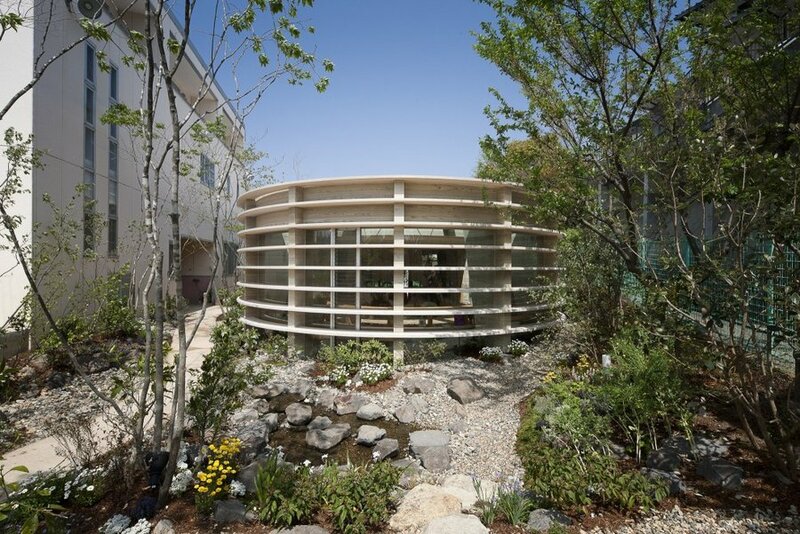 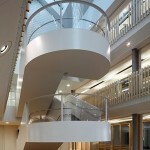 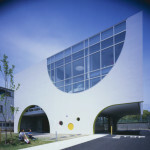 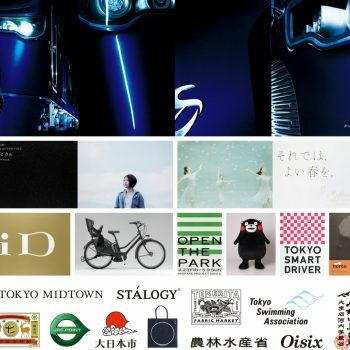 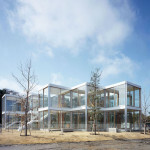 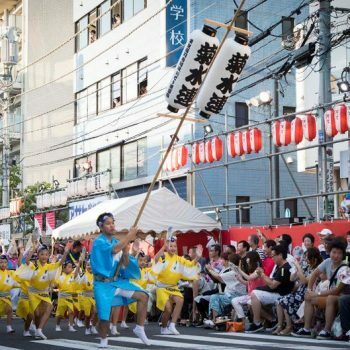 The form was conceived by overlapping 2 circles to create a fluid space connected to the environment, explains architect Hiroshi Ueda, who completed the new structure last year. 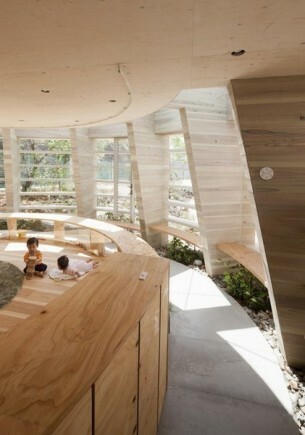 The idea of peanut-shaped architecture serving as shelter for premature, evolving life, is also a nice metaphor. 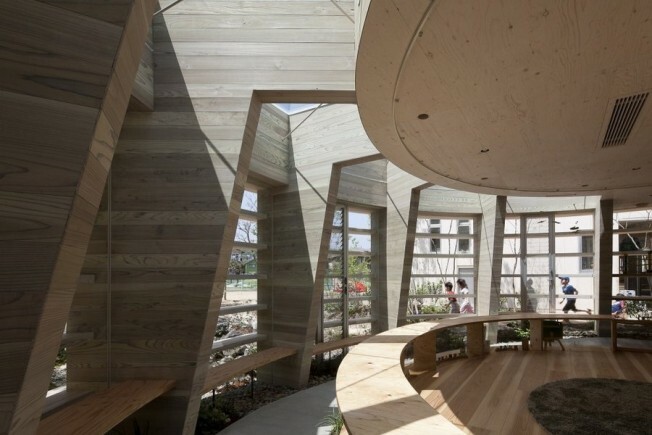 The timber structure is also designed to directly expose the young learners to elements of nature like and the different seasons. 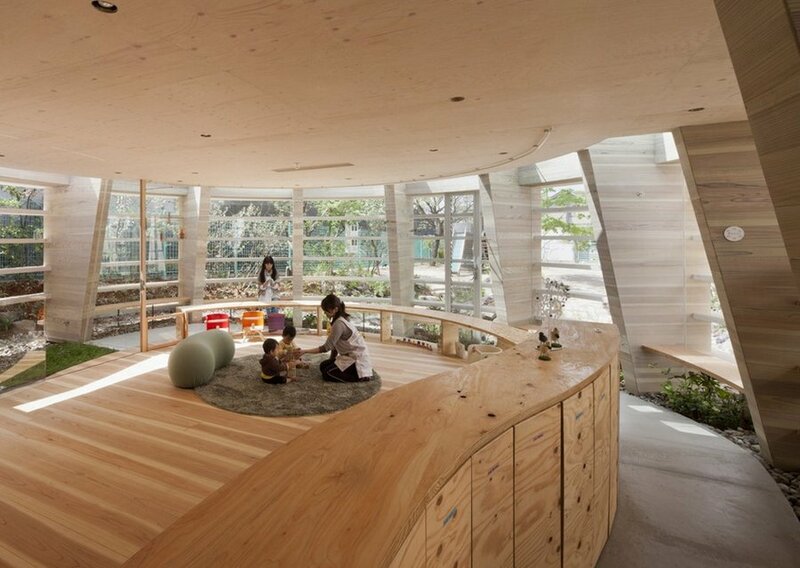 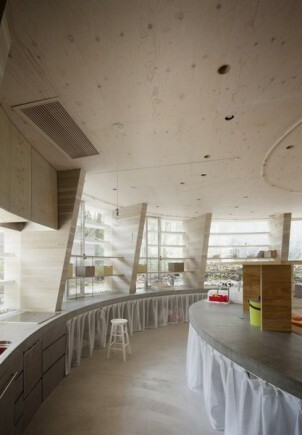 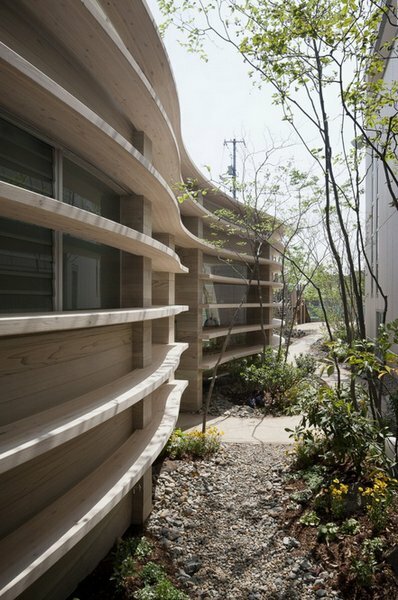 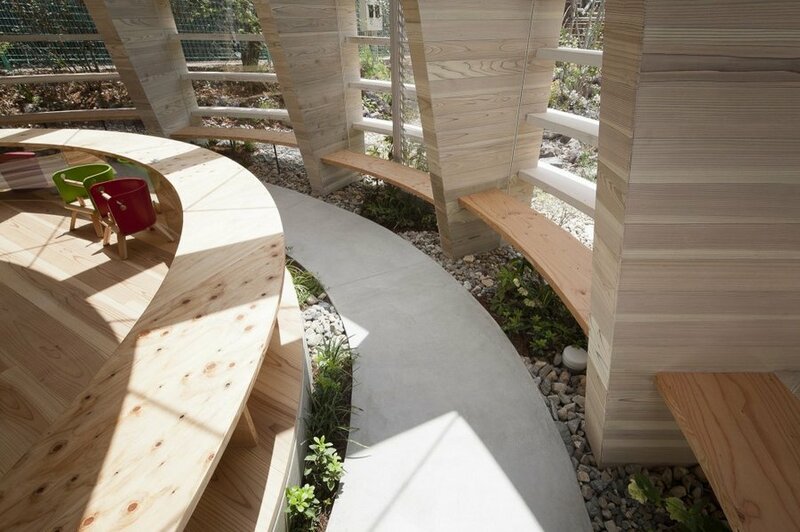 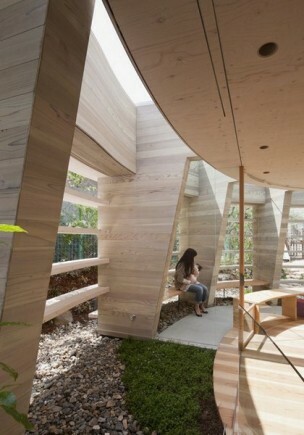 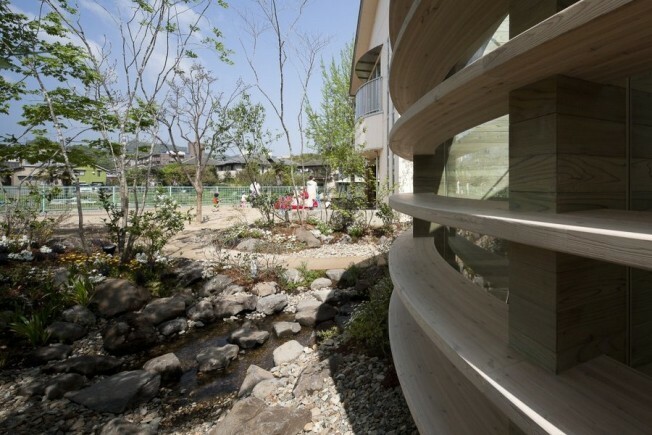 Almost like a forest in itself, the space has inclines where children can explore the semi-outdoor space.